e 602-II, Dynamic Microphone from Sennheiser in the evolution 600 series. 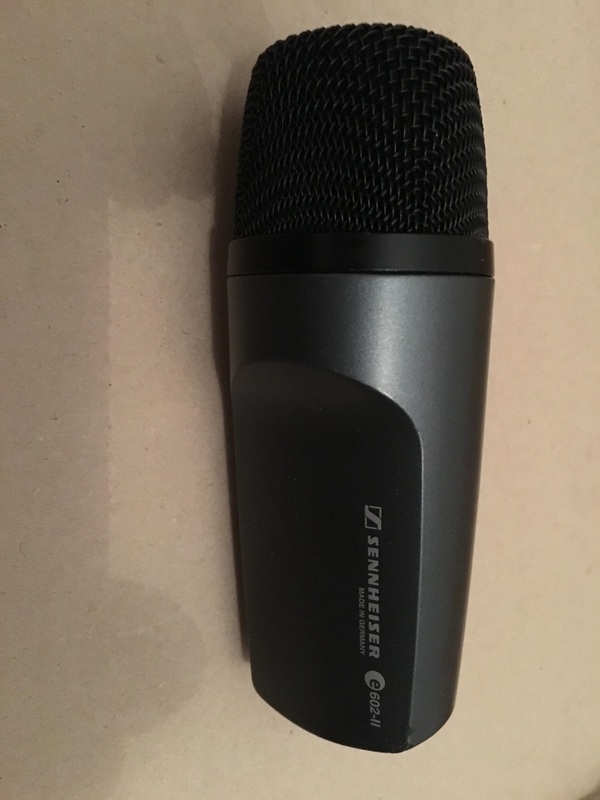 JimboSpins's review"For your low frequencies"
If you are in search of a great sounding kick drum or bass microphone then the Sennheiser e 602 II will serve you right. It cost under 200 dollars and has a fast response and low frequency extension. If you have a bass instrument or a kick drum that has that really low frequency this is the microphone to have that will pick it all up. 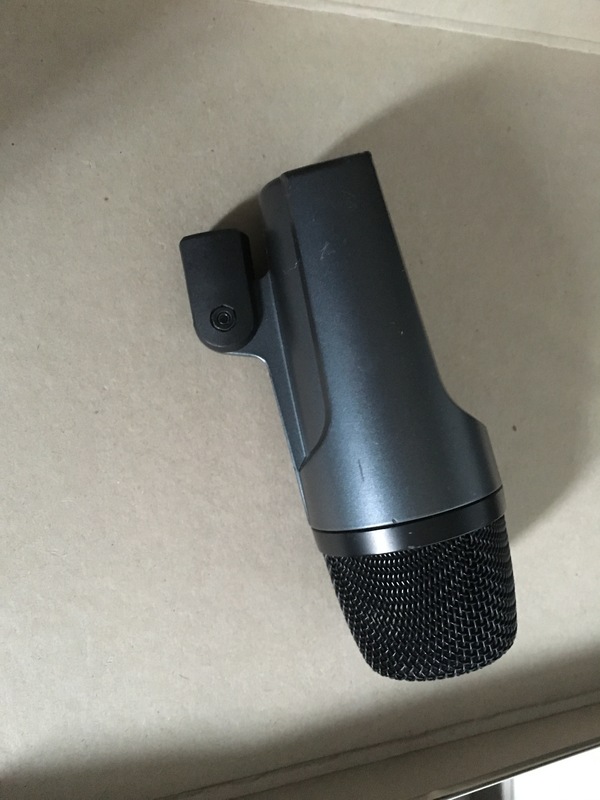 It has a cardioid pick up pattern and it is a very rugged microphone. When its all said and done, it will depend on the angle that you have the Sennheiser e 602 II pointed toward your instrument or kick drum. If you find that sweet spot (on the kick drum) it will really give you the punchy sound and make those low frequencies pop. You will really tell when you listen to the play back of what you just recorded. We have used this microphone for about 4 long years now off and on depending on where we are recording at. The ability to pick up those really low frequencies is the Sennheiser e 602 II finest quality. I don’t have anything bad to say about this microphone. It is very rugged and is made to be dropped a few times. 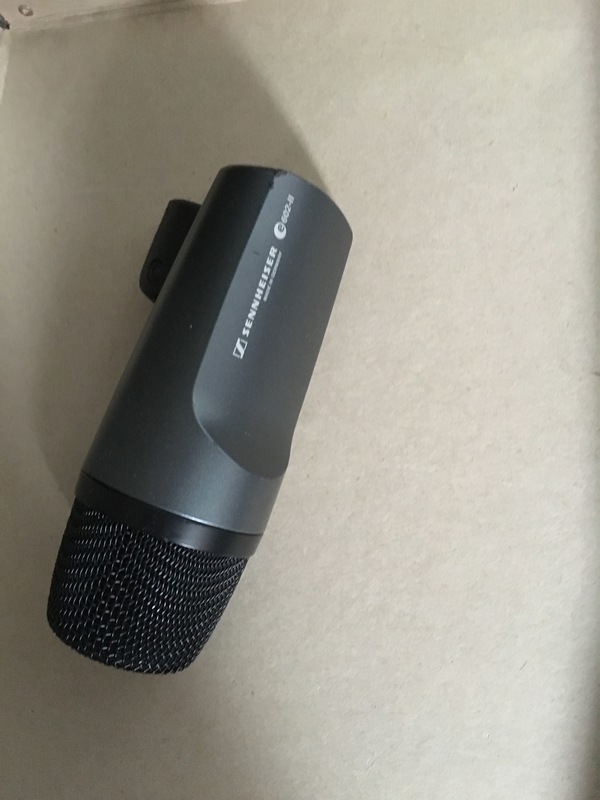 We are very happy that we chose to use this microphone and after using it for 4 years we still have it and still use it, it sounds and looks brand new. I recommend getting this microphone for your kick or bass instruments if you really want those low end frequencies to pop in your mix. The sound quality for the price is un-beatable, a microphone this good could easily cost around 300 bucks today. You can compare this microphone to the D112 but I still think the Sennheiser e 602 II sounds a lot better even though they have similar specs. The Sennheiser E 602 II is a dynamic microphone that I've used in the studio, but is equally useful in a live sound setting as well. The mic has a cardioid pick up pattern and is perfect for low frequency applications like deep horns, bass, and kick drum. The mic has a built on clip and will pick up frequencies in the range from 20 Hz to 16 kHz. Thus far I've only had the opportunity to use the mic on the inside of a kick drum, but it's definitely more versatile than this - I just haven't had the chance to use it for anything else. The mic is built like a brick and is definitely built to last. Until recently I hadn't used the Sennheiser E 602 II, but I'm glad it's now in my mic vocabulary as it's really a great microphone. While I haven't used it for anything other than kick drum, I'm hoping to get the chance to use it for other applications in the near future as it's definitely got multiple applications. 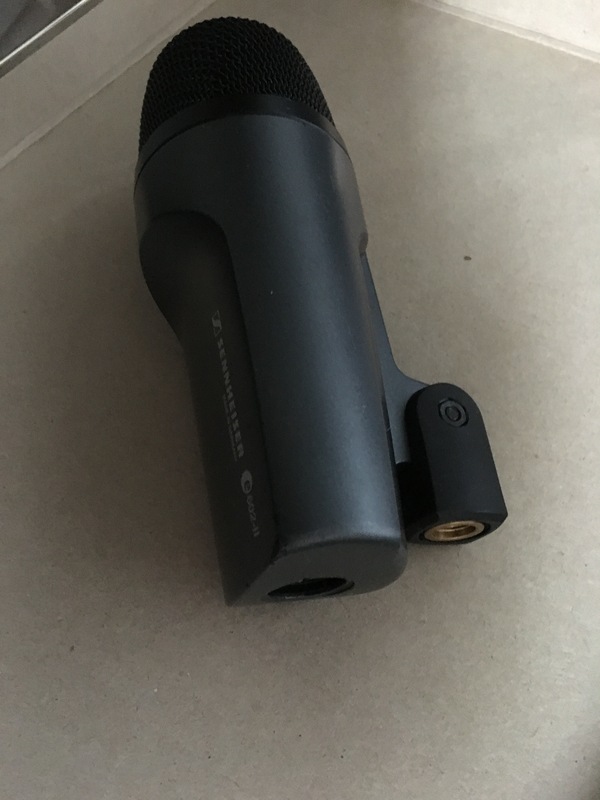 I've always been a huge fan of Sennheiser mics, but the E 602 II has a unique low end quality that I haven't heard in other mics from them. It also helps that it's extremely rugged and this is why I can see it being used for live sound as well. The price is a lot less than I thought it was going to be, as it's even a bit cheaper than the ever popular AKG D112 and Shure Beta 52A kick mics, which are pretty much it's competition. I'd definitely throw this mic in the mix if you're looking for a great kick drum mic, as even though it may not be as popular as the other aforementioned mics, it's got a really punchy and direct sound. 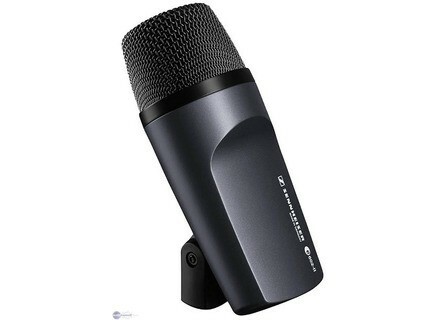 At right around $150 US dollars, it's a great deal for a great mic that can bring you a long way. I don't know how it compares to the original E 602, but the Sennheiser E 602 II is a stellar microphone to have in any studio! 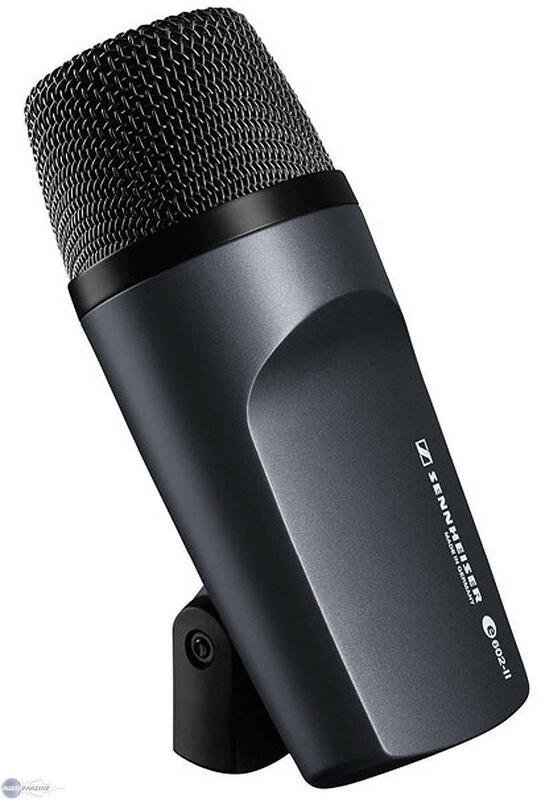 The Sennheiser E 602 II is an affordable microphone designed by Sennheiser specifically to work with "bass instruments." This means that it will probably get utilized most often on kick drums. What I do find intensely interesting about the Sennheiser E 602 II, however, is its bizarre ability to make cheaper kick drums sound absolutely fantastic. More on this later. The Sennheiser E 602 II is a dynamic microphone tailored specifically toward bass instruments (read: kick drum, although I suppose that mic'ing up other bass instruments like a bass cabinet is not out of the question, but it was not something any of us attempted when we had the microphone). It has a fairly typical pickup pattern of cardioid, and has a very nice extended frequency response from 20 Hz all the way to 16,000 Hz. I like this quite a bit, as Sennheiser did not opt to completely chop the top off like some companies do. This makes sure that the percussive element of the kick itself does not get buries underneath a mountain of bass frequencies, which some microphones seem intent on doing. The Sennheiser E 602 II performs roughly on par with its magical AKG counterpart, the D 112, although this microphone possesses a rather uniquely magical quality. Sennheiser mentions it in passing: "ideal for direct use on the most problematic bass signal." Even then, Sennheiser does not exactly say what that means. Kick drums often suffer from a boxy sound, if they are not of particularly high stock. Maybe this microphone is tunes to fix that, but it makes cheap kits sound like little explosions, in a good way. Oddly enough, it makes higher end kick drums sound rather strange. Whether you grab the Sennheiser E 602 II depends on what kick drum you have. If it is not of higher end, then you would do well to grab this if you do not plan on upgrading anytime soon. Otherwise, it would be wise to check out other solutions. This mic is Sennheiser's answer to the AKG D112 and the Audix D6. It is a large diaphragm moving coil dynamic mic that is designed to mic up your very bassy sources. Primarily you will find this stuffed inside a kick drum. It connects with the standard XLR cable and doesn't need any phantom power to operate. It actually comes pre-fixed with a mic clip, so you don't need to worry about losing and replacing that little piece which is nice. The frequency response of this mic definitely seems to be tailored to kick drums in two specific places. First, on the low end, there is no obvious bass roll-off like you find on a lot of dynamic mics. This curve acts to preserve the bass you'll get from the proximity effect and the natural bass from the source, so you can get meatier sounding kick drums. There is also a bit of a dip around 250-300Hz to counter-act some of the boxy tone that some kick drums have. There is also a little bit of a presence peak at around 3k to help the beater on the drum head sound come through a bit more, so you can hear the kick drum better in a mix. The polar pattern is cardioid and it is a front address capsule, so you'll probably want to angle this to point at the drum head for the most balanced sound. I have used these as the live kick drum mic a few times. I am usually loathe to switch out anything for the AKG D112, but I have actually been pretty impressed with the sound this mic can get more than once. It definitely depends on the drum and the player, but times have come up where this mic sounded better than the AKG D112 as well as the Audix D6. At the least, this mic gives them a run for their money. It is cheaper than its competitors, which helps it in the value area, but overall I would say not as good a mic as the others. I would recommend it as a back-up.